I’m not good at a lot of things. Up the top of that list is basic math and structural engineering. Maybe it’s the latter which makes me probably the worst Polybridge player of all time. However, what I lack in skills I make up for in determination and lack of regard for tiny animated life. I don’t think bridges should bend like that. 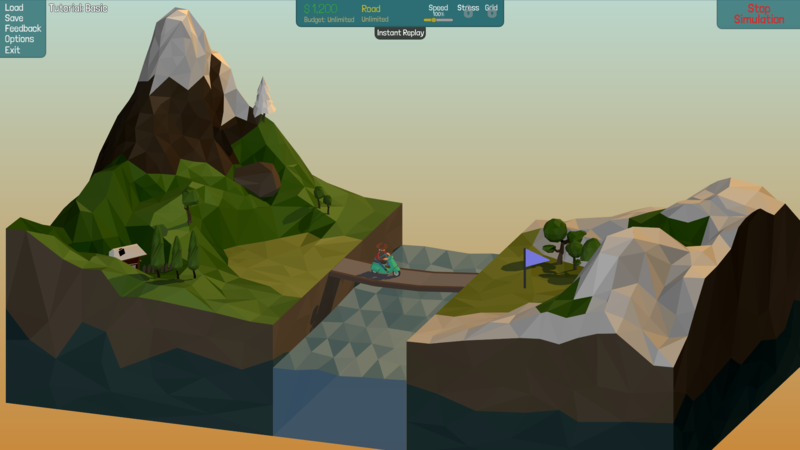 The premise of Polybridge is simple, construct bridges across a river for a range of vehicles to cross, however, that is easier said than done. The gameplay is fun, the music is lighthearted, and the mass drownings are frequent. 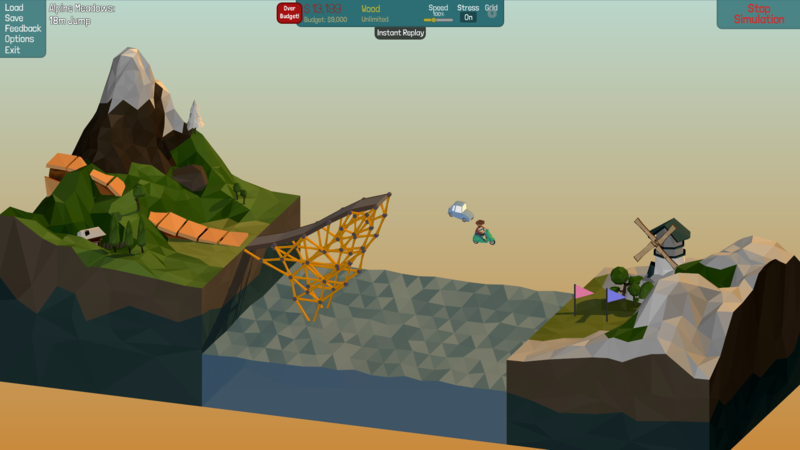 The physics in the game are great, which is fantastic when you build well, but when you make small mistakes as I inevitably always do, the whole bridge comes crumbling down pretty quickly. It is a miracle two cars made it across that monstrosity. A genuine miracle. Polybridge really shines due to its addictive and creative style of gameplay. It’s really fun tinkering away at a bridge hoping to help a family cross it. 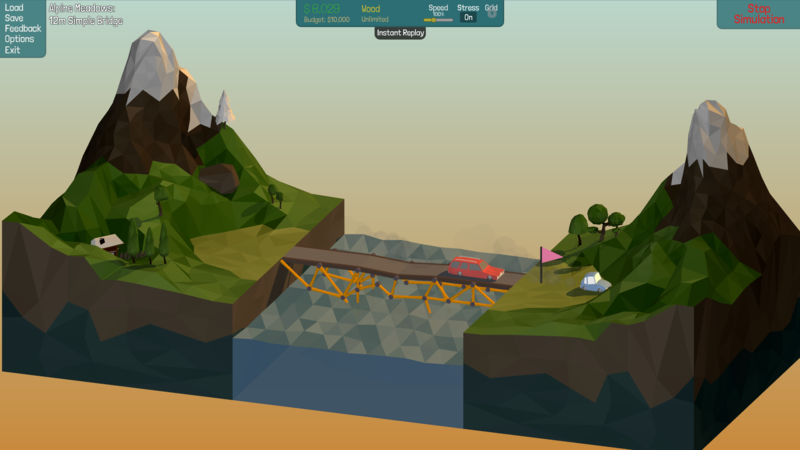 Although the game can be quite challenging for borderline special needs children like myself when you have to build hydraulic bridges that open up and allow boats to pass through, or double tiered bridges. Forgive me, for I know not basic physics. Perhaps the most satisfying part of Polybridge is building jumps, yes it’s totally like that episode of the Simpsons when Homer jumps the gorge. Almost always my ramp collapses or the daredevil plummets into the icy waters below. But that doesn’t make it less fun, I genuinely laughed out loud during my play through when tiny people were defeated by gravity. My bad, invoice me for those damages. 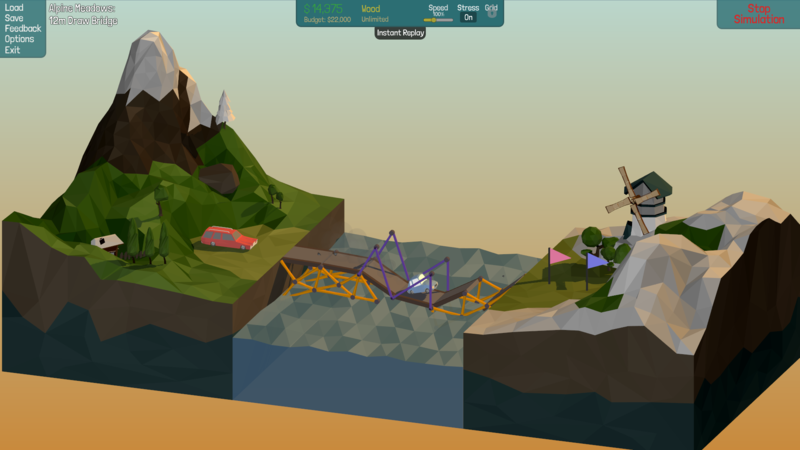 You can pick up Polybridge on Steam for $11.99 US, and I strongly recommend you do if you want to save thousands of dollars on that structural engineering degree. You can teach Charlie basic science on Twitter @clbraith, and don’t forget to follow @load_screen and like us on Facebook.